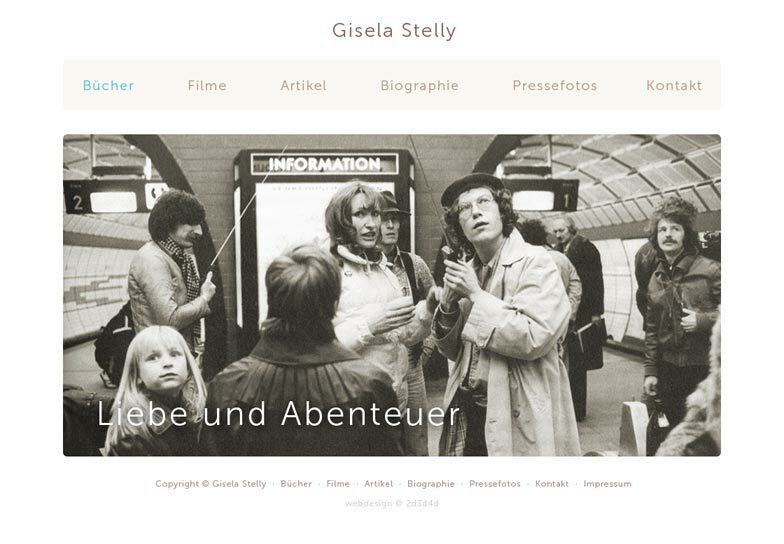 The diverse and extensive works created by author and filmmaker Gisela Stelly since the late ’60s were previously only represented in very fragmented form on the internet. 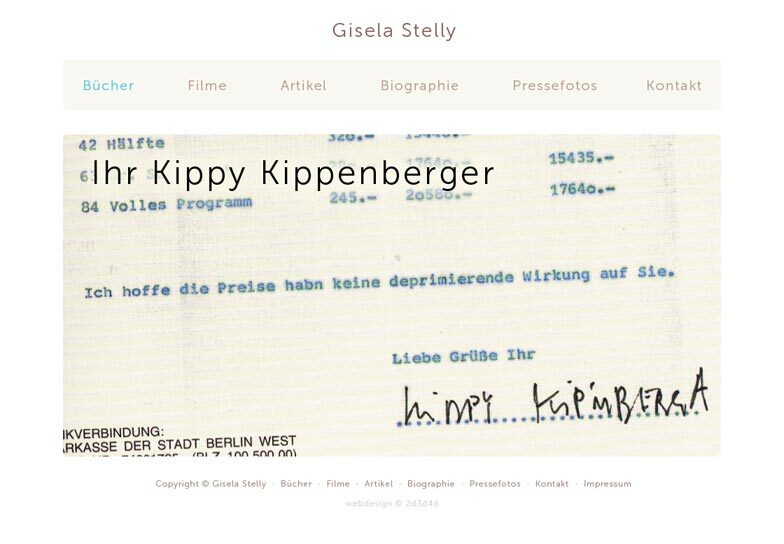 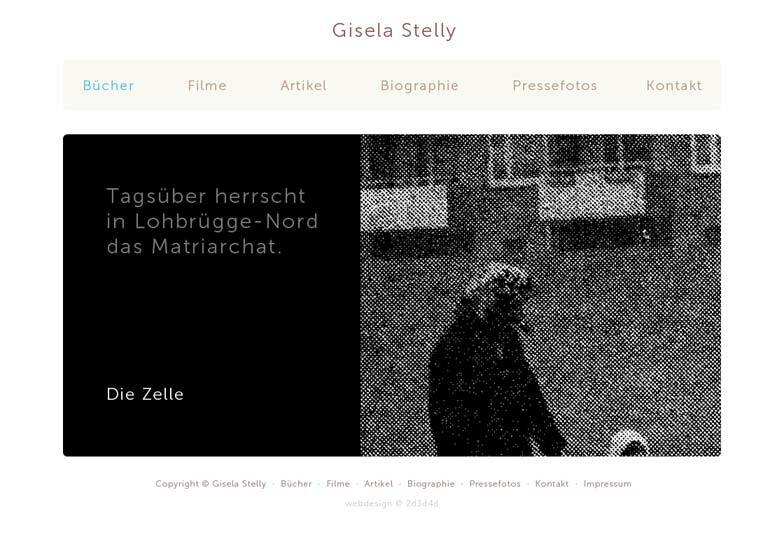 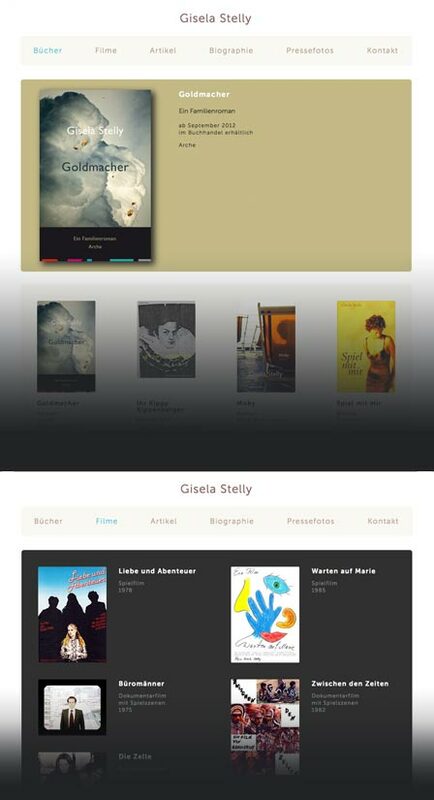 With the launch of her new website, a monographic presentation has been made available, allowing to experience Stelly's feature articles written for „Die Zeit“, her documentaries and feature films, her nonfiction books and novels as an artist's body of work. 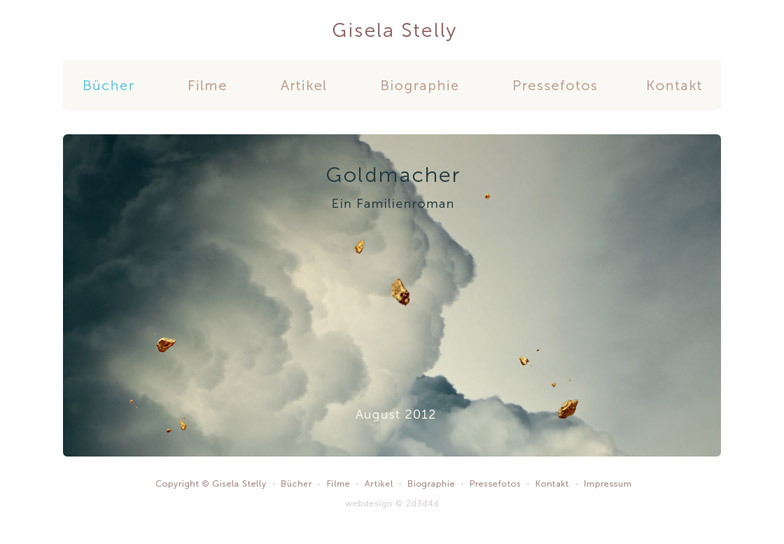 The sole requirement for the website's design and functionality was to let the texts and images speak for themselves.